Clth, 11.25 x 11.25 in. / 160 pgs / 100 bw / ltd ed of 50. Since moving to California from his native Germany, photographer Stephan Würth has been fascinated with the mythical vistas of the American West and the isolation and freedom of vast desert expanses. 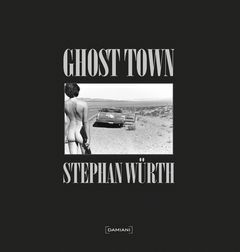 Würth culminates this geographical romance with the new series Ghost Town. These photographs narrate the tale of three women as they journey through Nevada, where they soon find themselves stranded with a broken-down car on the side of a desolate road. Shot over seven days on black-and-white Kodak Tri-X film, the images were scanned for the book from 16 x 20 inch hand-developed prints and never retouched. The book also features an epilogue by fashion and culture critic Lesley M. M. Blume. Featured image, by Stephen Würth, is reproduced from Ghost Town, in which Lesley M. M. Blume writes, "Something you should know ahead of time: Gold Point will conspire to make you into a child again. Gold point wants you to be naked out there amidst that sea of sagebrush and bleached animal bones. There is such a thing as adult childhood too, and here you make its acquaintance right away. Women drink bare-breasted at Gold Point's ramshackle saloon; peanut shells are thrown on the floor and forgotten; drinking beers while lazily shooting at your parked truck is a perfectly acceptable pastime." 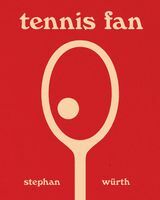 "This book is about a dream. Three girls on a road trip fall asleep in the back of their car and wake up together on the inside of the same dream. And in this dream, these ladies create a utopia of sorts, one willed with appetite and scintillating amusements and only occasionally listlessness. But even their boredom is of a pretty, temporary variety. There is nothing dreary or sordid about this dram. Once in a while, it flits towards the edge of dreariness or hints at impending salacity--but then, with the blink of a shutter, you're back from the edge and there's a new scene, a new act, a fresh new giddy game being played on the pages before you." Lesley M. M. Blume, excerpted from the epilogue to Ghost Town. 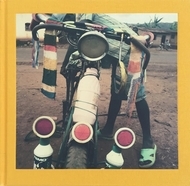 FORMAT: Clth, 11.25 x 11.25 in. / 160 pgs / 100 b&w / ltd ed of 50.